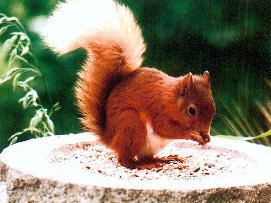 South West Scotland is one of the few areas in the United Kingdom where red squirrels can be seen. 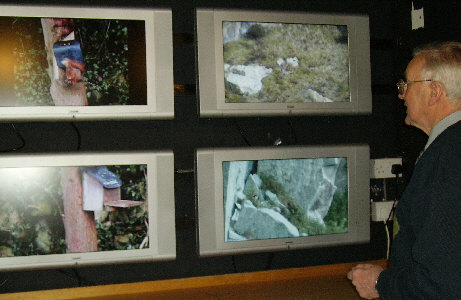 Films of Squirrels and Peregrines which nest in the area can be seen in the museum. 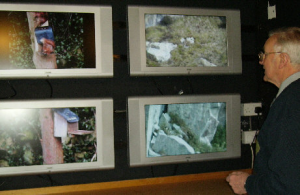 We intend to increase the visual coverage of local wild life over the next few years. This development is based on advice and funding from Scottish Natural Heritage, with further finance from The Aggregates Levy in Scotland, Tarmac Northern, and the Slevin Bequest. 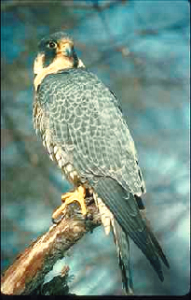 There is also a lot of information about the Wigtown Bay Local Nature Reserve and the creatures that can be found in it. 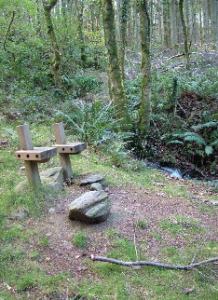 The Balloch Wood project has created footpaths through local woodland, varying in length from 2-4 miles. The walk starts 400 yards from the Museum and, with luck, you will see red squirrels!